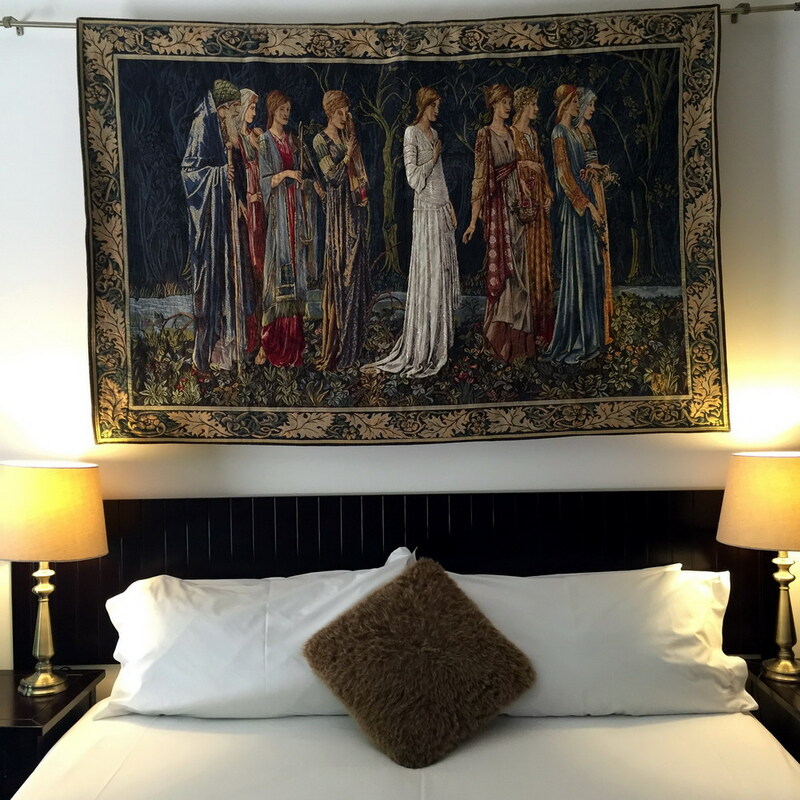 After our great day at the Medieval Adventure Park, Kryal Castle (you can read all about it, if you click HERE), we were exhausted and wanted to sleep like royalty, as after all, we are Kings. 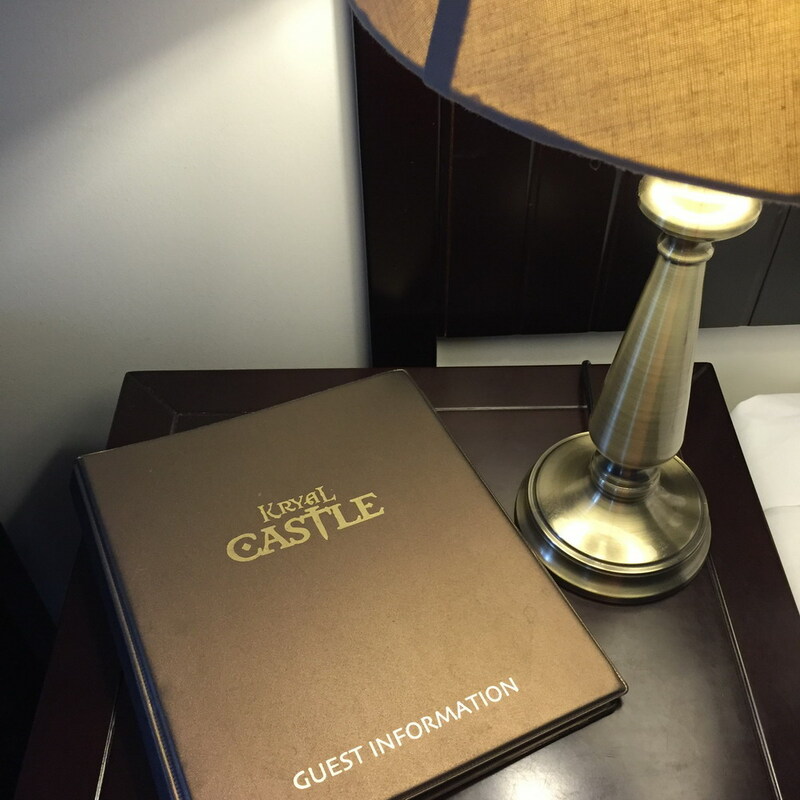 We had the opportunity to stay overnight at the Castle Suites for a unique experience. 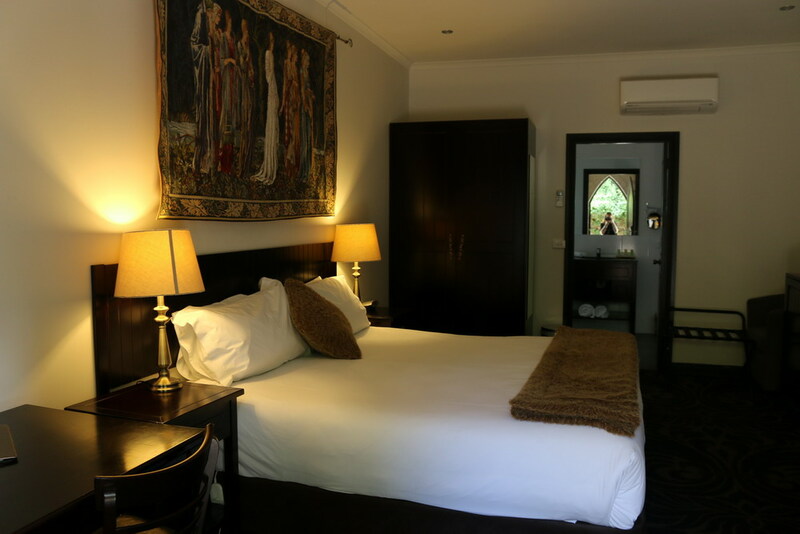 There are 17 suites, (King Rooms, Queens Rooms and Twin Rooms) which are located right on site. 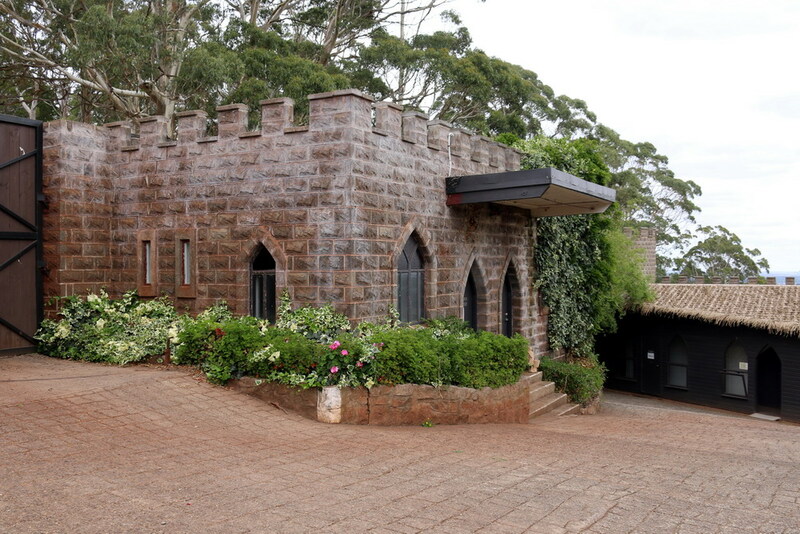 Entry to the Castle Suites is through a big gate at the back of the park. Once you arrive at the gate, you need to phone the office to let you in. The staff was very quick to arrive and didn’t keep us waiting. We were checked into room 14 which contained a luxurious King Size Bed, small folding bed for my daughter, FREE WI-FI, split system air-conditioning, bar fridge, kettle and toaster. The room was exceptionally clean, modern and very spacious. There are no dinner options available at the Castle Suites, so we drove into Ballarat town, which is about 10 minutes away. I must say that when we drove back to our rooms after dinner, the view of the Castle sitting amongst the forest of trees was just beautiful, especially at night. *Bring an esky of food and drinks and store it in your room. At lunch time, come back to your rooms, pick up your food and enjoy a picnic on the grounds of Kryal Castle. *Front desk is only available for limited hours, so make sure you have everything you need for the night before they close. 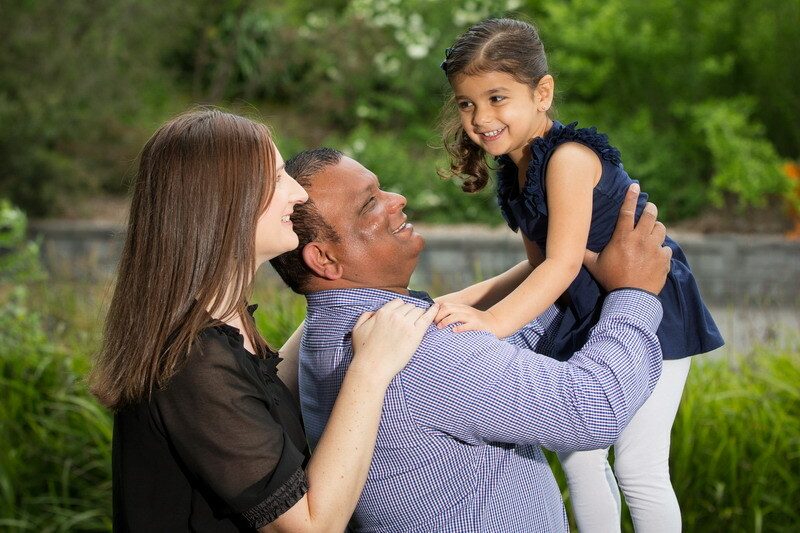 There is a number to call for emergencies so you’re not totally alone, if that’s what you were thinking. *Once the castle has closed to the public at 4pm, we could access the grounds all to ourselves. My daughter enjoyed playing on the playground all by herself. There is always room for improvements which can make a stay more enjoyable. Here are a few little suggestions that I can put forward (this may not apply to everyone, but it would of enhanced my experience). 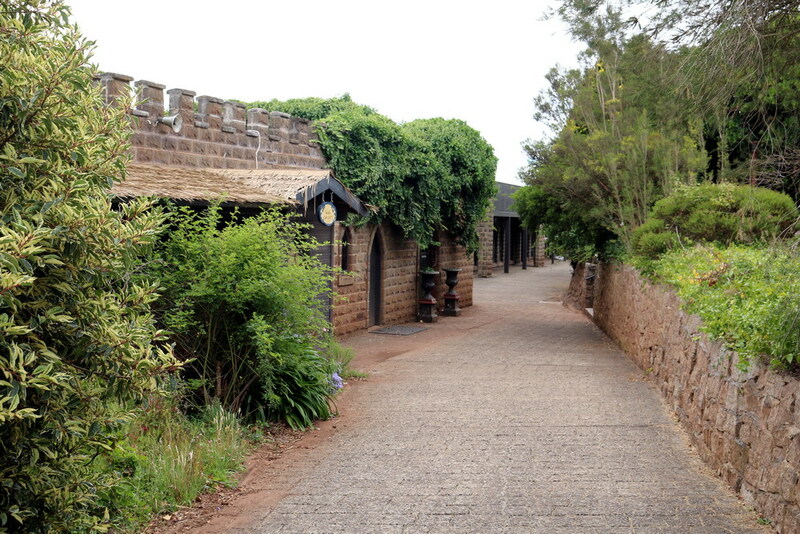 *When checking in, as you enter the Castle from the back of the property, I wasn’t told to go to the front of the Castle because that’s where The Dragon’s Labyrinth is (and its only accessible through the front entry) and I completely missed out on seeing that. I only realised this at closing time when I managed to sneak through a door that was opened and saw what was in there. But it was too late to go in and check it out. *Fly spray in the rooms would be fantastic. 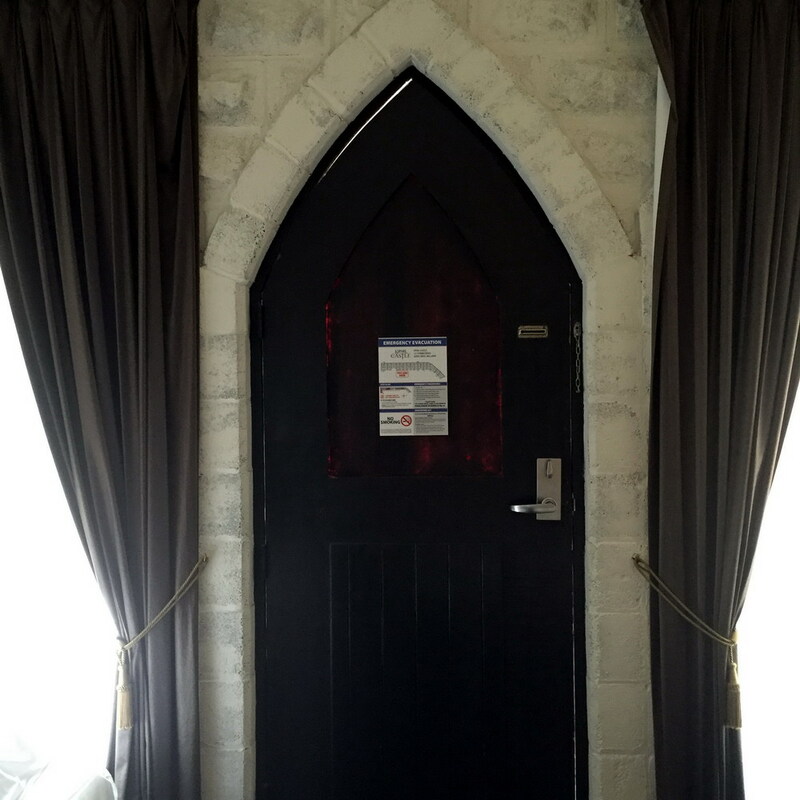 As the doors for the rooms are wooden and medieval style, there was a huge gap between the bottom of the door and the floor and the room was filled with mosquitos at night. Maybe a door stopper would fix this problem. We used the blankets from the room to stop the draft and mosquitos. Not everyone has a problem with mosquitos, but those who know me, know I do. As I said these are only my opinions, but these would have heightened my experience further. 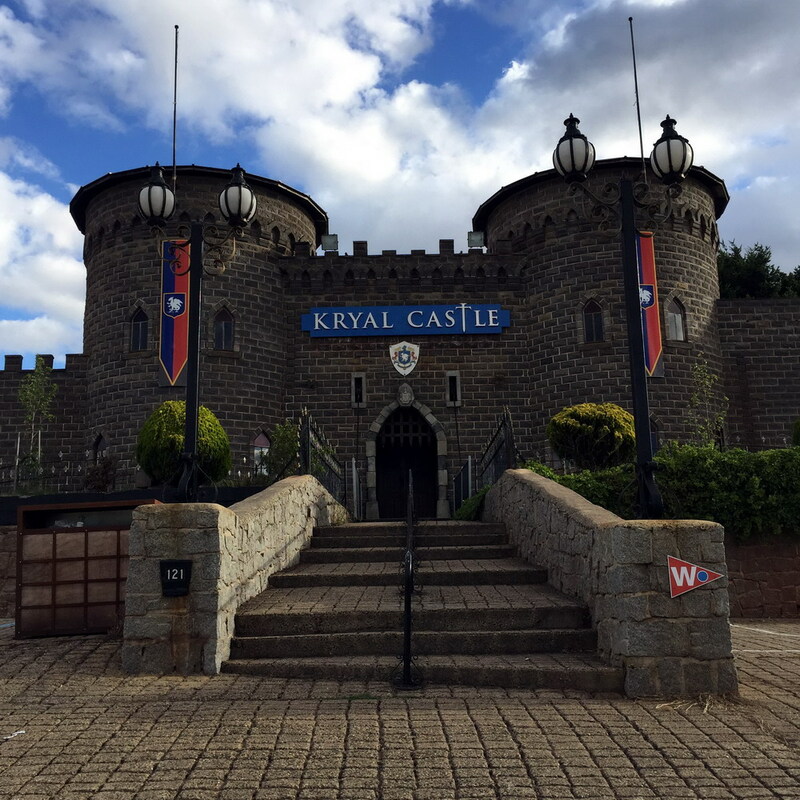 Overall, we had a great night staying at Kryal Castle suites and would definitely recommend it to anyone looking for a unique experience adventure. My daughter had a blast and is still talking about being a Princess in the Castle.